Looking for some Quick, Inexpensive Vegan Dishes? Check this out! 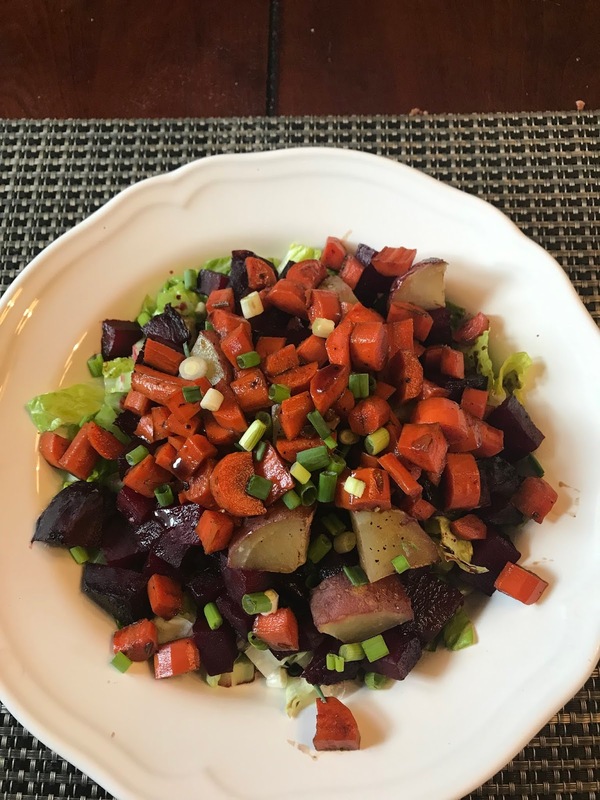 This week's post is for all the broke vegans, busy moms and dads and for anyone who is too tired to cook when they get home. All you need to do is get a good meal starter and the rest is easy. This week I used potatoes. They pair with just about anything. 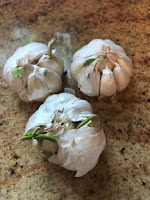 You can use them with peppers, onions, mushrooms or whatever vegetables you may have on hand. 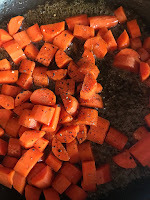 You can also use different spices to change the flavor profile. They are wonderful in soups, stews and are versatile enough to use in any ethnic dish! 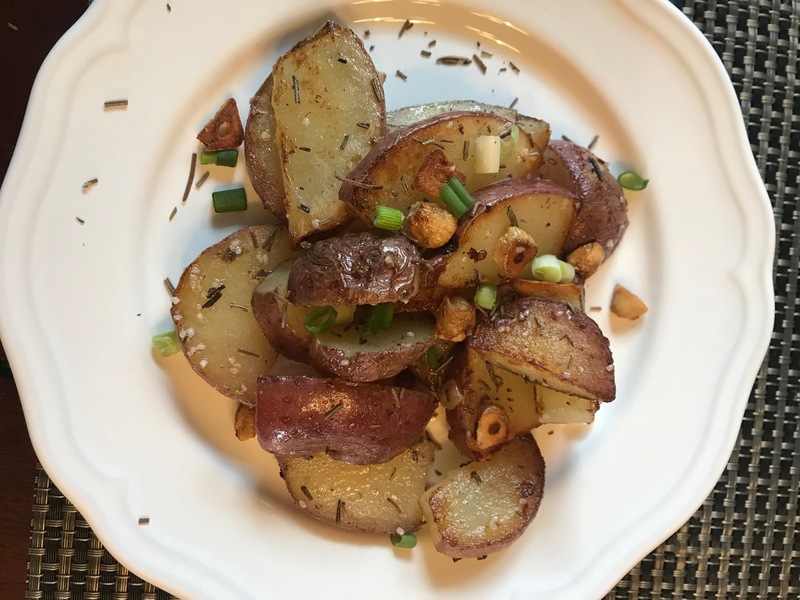 The main ingredients that I started with today were a bunch of red skinned potatoes (that honestly had seen better days) and a few heads of garlic. I scrubbed the potatoes and cut them in half, cut the tops off the garlic and lightly oiled a sheet pan. 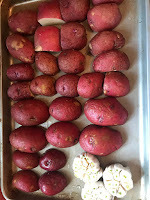 I then placed the potatoes face down along with the garlic and put the oven on 350 degrees. The house smelled amazing! 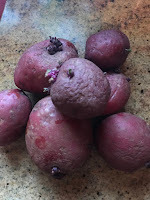 I am going to show you three great inexpensive meals thrown together with stuff I had in the house. 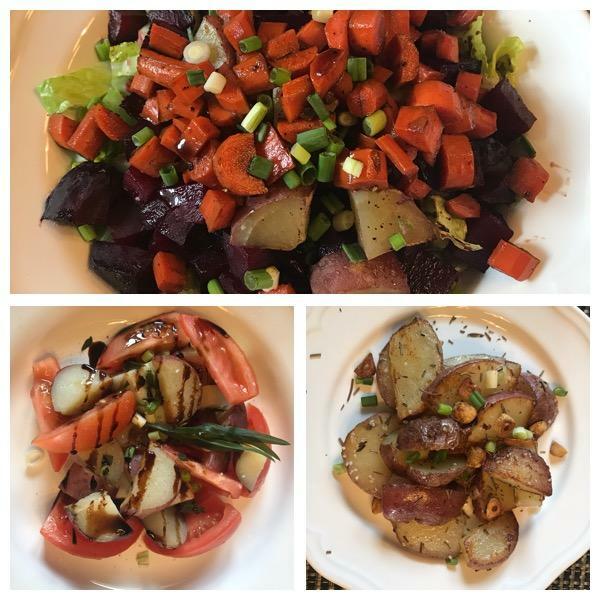 I encourage you to use whatever stuff you have home to build on these recipes to come up with your versions. Delicious does not need to be expensive. I made about 14 red potatoes and after putting together three dishes I still have quite a few left to use as meal starters for the rest of the week. Think of the possibilities! And the majority of the prep work will be done. 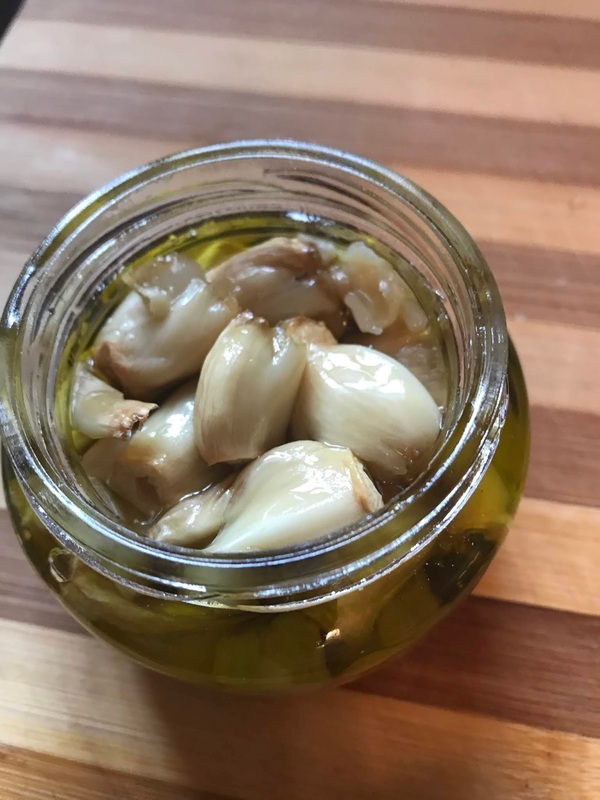 I peeled the roasted garlic and put what I wasn't going to use in a jar and covered it with olive oil. I will be using this during the week and after the oil is infused with that roasted garlic it will be perfect in a salad dressing or marinade. - they are a great source of Vitamin C which acts as an antioxidant and are also rich in potassium. Garlic also has a lot of health benefits. 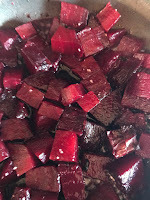 After I peeled the beet (for those that don't know your hands will get stained, I usually run the beet under cold water and scrub the skin off) I then diced it and sauteed it in the same maple syrup and balsamic mixture. 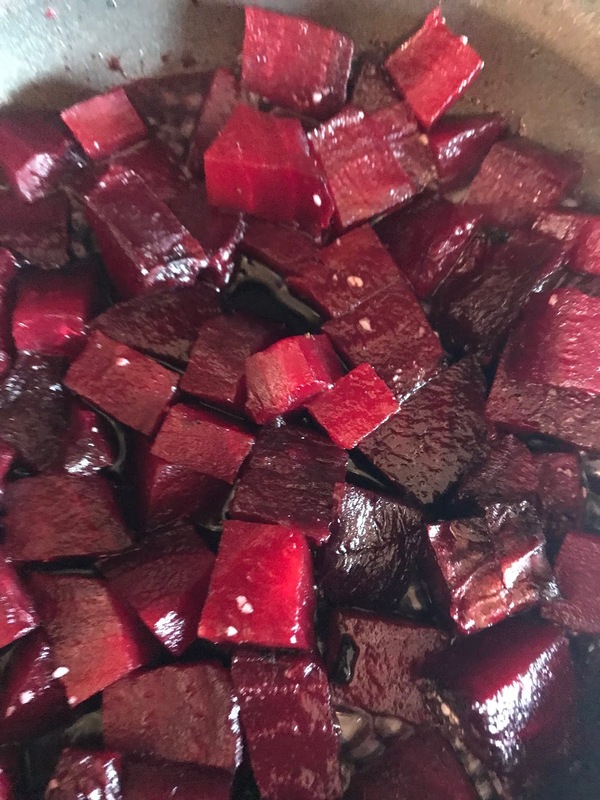 ( I made another batch for the beets). I put the warm beets over the lettuce and celery, added my potato and topped with the room temperature carrots. For my dressing, I poured the remaining syrup on top. 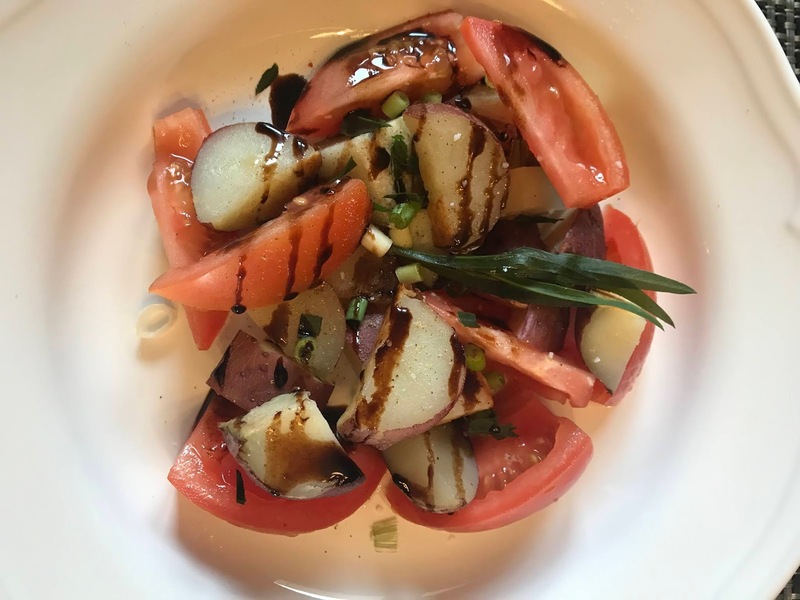 A little green onion and you have a beautiful main course. * after I washed the carrots and peeled them, I added them to my dog's dry food. Dixie, my black Lab loves carrots! Nothing goes to waste! I added some dried rosemary that I had previously grown, topped with green onion, salt and pepper. Hope you love these ideas as much as I do, until next time, happy cooking! Please remember, all animals need our love and compassion so support your local animal shelters and always ADOPT don't shop for a pet. If we all continue to share those posts on Facebook we can change the world for one animal at a time. Please join me in making the world a better place for our furry friends. Small changes make big changes if we all work together! Let's make this world a kinder place for all.